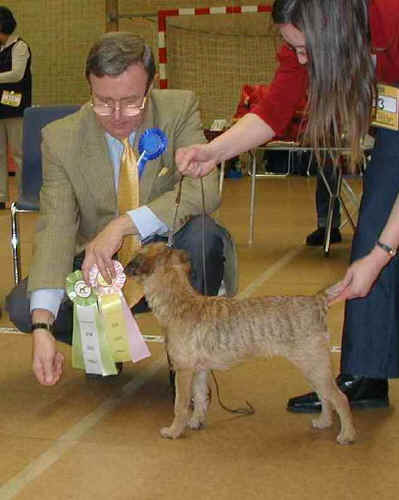 Welcome to Sagimus Border Terriers, classic style Border Terriers. We are aiming for fox bolting capacity in both mind and body, which we are convinced is also the basis for fitting into the typical active family dog lifestyle that applies to the workers, trialled and shown dogs and pets alike. We are now planning for the sixth generation of the Sagimus bloodline from the 2000's, continued by way of CIB Sagimus Trick and carrying on the line of our British boy "Spock", Bedeslea Springbok who left many special qualities that we take care to keep.